The Berserkers and their dual-axe-wielding should not be focused on defense at all. All they need to do is to be is aggressive as much as they can. An aggressive approach for easy wins. We’re here to explain you how to Play For Honor’s Berserker Class and we hopefully going to help you a lot. Now, let’s go into frenzy mode and try to own every single game against every other class. We hope that this guide will truly help you to understand the Berserker a lot better. We know for which faction we’re talking about and where the Berserker comes from. 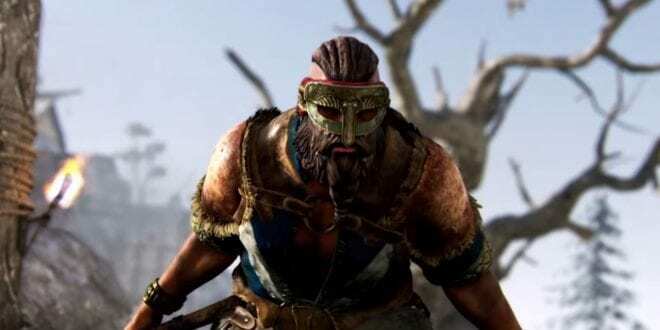 The Vikings Faction might become your favorite faction to fight for in For Honor. Coming from the Vikings Faction in For Honor, the Berserkers are really aggressive in every single perspective. Even though if they do not own really good combos just like the Orochi, they have pretty good movesets that are going to help you chain all the attacks and Finish with a Top Heavy attack. The Berserker, being titled as an Assassin and Hard to play, it will just make you love him. However, it’s not that hard to play with like the game says. We’ve also recorded a video of some of our Berserker gameplay too. You’ll see everything we have to offer, below. Let’s start with the guide. The Berserker can pretty much win every fight against every other class. They have the speed, damage, everything you need. The most crucial part is the Spin Chop ability they own. This means you’ll be more than able to dodge and deal damage as much as you like. Then, you’ll be able to chain it using the Dance of the Paired Blades. If you get this to work and those hits succeed, you’ll be in a really good position enabling yourself and your fourth hit to be Uninterruptible, which means that even if you get a hit, the animation will go through and you’ll still deal a big amount of damage. What’s related to the Uninterruptible attribute, keep in mind that the Head Crusher does not count as a started even if I thought it counts. So you might continue with the Dance of the Paired Blades and get the Uninterruptible attacks ready, but make sure you finish with a Heavy attack. I’ve been playing the Berserker a lot and this is all you need to do. Believe me, you’ll see, it works! You think the Berserker is OP only in Dominion matches and not in 1v1 duels? Well, you’re wrong. This Berserker guide will prove you that. NOTE: Whenever you see an enemy is low on Stamina, make sure you use your Guardbreak into a Punch, because it deals Stamina Damage, which can make you put your enemy on the ground and apply Head Crusher or a successful Heavy Attack afterward. This is one of the strongest sides of the Berserker, so you better remember it. Now, let’s make the Berserker become your favorite class. This might result really bad or good, however, keep in mind that you have the upper hand in this matchup. 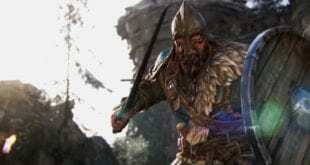 The Wardens can pretty much be both aggressive and passive, but keep in mind that you have the Berserker class so you can dodge everytime you want. 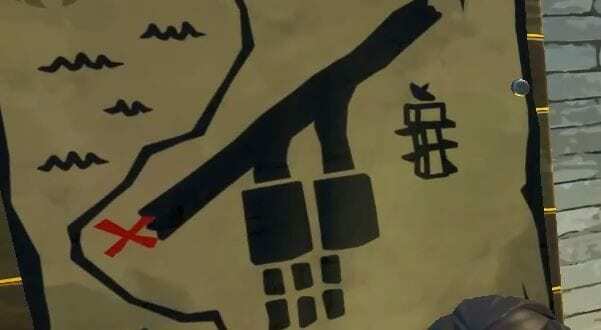 That’s the only thing you need to do against the Wardens. Getting rid of their Guardbreak is what you want to do, most of the time. Keep in mind that you can initiate whenever you want with the Head Crusher and go up close on them. Well, first of all, do not be scared of anything the Warden class offers, literally. The only thing you need to do is to keep calm. Just pay attention for his Guardbreak, Shoulder Bash and his Light Attack Combo. Remember, the second light hit is Unblockable which means you’ll receive the hit by any means. Head Crusher is Uninterruptible moveset which is also going to give you a damage exchange chance, and I think that your damage output will be higher than his. By any means. The Head Crusher move deals good amount of damage and is really good for initiating. However, the only thing you want to do before going close on the Warden is to fake attack first. Do you just know what kind of boost the Fake attack gives you? Well, it’s explained in the video below when playing against the Peacekeeper and also The Warden. I am telling you, the Berserker can literally crush any other class. If you use your heavy attack and dodge instantly, you will stop the attack. This means you can make fake attacks and make the enemies dodge first so they won’t be able to dodge the next time when the Head Crusher is going to be initiated. It’s really cool. You can also use the fake attacks to perform any other moves, but, mostly I use it because of confusing the enemy before I perform the Head Crusher move. You can apply the same with using the Head Slicer moveset which is similar to the Head Crusher but deals a lot less damage and it’s more close range. Another cool fact is that the Head Slicer is not known as Uninterruptible attack, but it seems to be. As I said above, the Berserker doesn’t offer a lot of Combos, so you need to focus the Chain Attacks. So, to kill a Warden, make sure you dodge every single hit of his towards the side where it comes from (left or right). This will make you initiate chains. Hit the Light Attack and apply the Spin Chop, then pick a side and apply the Heavy Attack. This will activate Dance of the Paired Blades. Then, if you want to go with your Heavy Finisher, go for it. If it get’s blocked, get ready to dodge and initiate the same Chain, that simple. Keep in mind that no one is unbeatable, so… anything might go wrong. This means, if you’re pushed to block the hits, block them instead of dodging. However, blocking should be always your second way to survive through. A more advanced approach would be using feint in order to avoid blocks, then, continue attacking on other side of his guard. However, this is really advanced so you shouldn’t be trying to master it that hard, it will come by itself after you master the rest. The Conquerors can destroy you with their Shield Bash which can be followed by a Heavy Attack. Also, make sure you stay away from edges because they can easily push you down. Guys, believe me, I said I will update this guide and here I am. Take care of the Conqueror because hes a really good counter to every other single class. What should you do against the Conquerors? As I’ve said above, whenever he’s low on stamina use the Guardbreak, followed by a normal punch by pressing another Guardbreak. That’s pretty much all you need to do to put him on the ground. This will disable his Shield Charge and he will need to block your hits. This is another point where the Shield Bash might hurt you so hard. Now, it’s all about your Feint mastery comes to live and after that, the Top Finisher. Yummy, right? Keep in mind that is really hard. The top Finisher is a must because it deals a lot of damage. However, sometimes is just hard to get it. Chain the same attacks from above and then try to apply the top finisher. If his guard is up, make sure you Feint that as fast as you can. I do not know what to add over here because it is actually really annoying to play against a good Conqueror. One of the most annoying classes. Well, guys, there are a couple of things you need to take care of when you play against a Peacekeeper. First of all, you already know that the Bleed effect is one and main of them. Another cool fact you need to be aware of is the dodge rate & speed the Peacekeeper owns. She’s just fast and despite the Orochi and Berserker dodge animation, she “Pokes” instead of “Swings”. This means everytime she performs her Sidestep Strike you need to make sure you dodge towards the opposite side. That is the best option. In this way, you will still get a hit, because your Spin Chop works really strange. Even if you’re far away from the enemy, it seems like you’re getting closer when you perform that. It’s not working like that with the Orochi or the Peacekeeper. Now you understand my words, right? This means you need to poke his eyes every single time you can. Go in front of him, do the Spin Chop, harass him as much as you can. After all, that’s your main title, you’re that kind of class. If he runs away, do the Head Crusher instantly. Make sure you always initiate with Head Crusher against the Peacekeeper. Just do not forget to perform the fake first. In that order, she will dodge earlier, just like in the video below. Another fact why to use the Head Crusher against her is that it counters her Dashing Thrust really hard because your Head Crusher is actually Uninterruptible. I mean, if you can, use the Head Crusher everytime she tries to perform Dashing Thrust. After that, all you need to do is chain attacks finishing with a Top Heavy. You can also easily activate the Zone attack too without any kind of problem. Just keep a close look on your Stamina Bar, because without the stamina, she’ll be able to chop you down. So let’s see what we have: Dodging is going to help you against her Guardbreak, Head Crusher with a fake before should make her dodge, Chains, a top Finisher. That’s all. No worries, even if you’re out of stamina, keep in mind that you can still dodge and that is one of yours most valuable moves you can make. A good dodge speed might get you our of trouble. If you fail to do that, focus on blocking, that’s it. Also, keep in mind to knock her down after your Guardbreak, which can be done with a Forward Throw (if you can get the timing right). We’re always starting on what should you be aware of, so we’ll do the same here. Guys, The Lawbringer owns a lot of movesets which I still do not know about that much. All the combos he can do can be really devastating, pretty sure. However, make sure you dodge the Top Heavy, because that attack stuns you and you’ll not be able to see the side of his next incoming attack. What is really cool about the Lawbringer is that he can save himself both if someone goes close to him, and someone stays away. He has a nice ability, Shove, that will put you down on the ground giving him the chance to initiate chains. It is also Unblockable. This is freaking awesome for the Lawbringer, but it’s bad for the Berserker class. So, this makes dodging our only chance, so you better prepare for that thing. Also, be aware from his Long Arm ability because it will allow him to perform the Heavy attack on you. Well, try abusing the Head Crusher as much as you can. Everything else should be the same. Otherwise, everything should rely on Spin Chop. Use your fake attacks to confuse him and you should be alright. Also, try mixing things up on your attacks, left, right. That might also help you because you do not want him to Parry. Also, make sure you always dodge sideways whenever he performs a dodge in order to escape the Shove. I am telling you this because the Shove might look really surprising to you because it will come really fast. I am pretty sure the Kensei will have a really hard time fighting a Berserker. 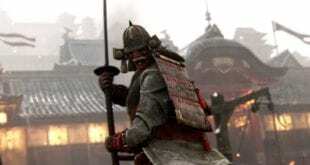 I say this because it will be hard for the Kensei to perform the three successful hits in order to execute his Unblockables Chain attacks: Spirit of Inevitability, Form of the Dragon and Doom of the Kensei. However, a Guardbreak might help him because after a Guardbreak he will start to hit from the second hit of a Chain. Even if he manage to hit you and deploy his top Heavy Finisher, you should be still able to dodge it easy. Well, all you need to do is just harass him as much as you can by going close. Using your Spin Chop should be easy and neverending. Performing a Head Crusher is always a good choice for initiation, literally. After that, make sure you use the Spin Chop, then, make sure you activate the Dance of the Paired Blades and try to hit a top Heavy Attack as a finisher. That’s pretty much it, you’ll see that is easy. Let’s move forward. Yes, mark these words, because I am really going to prove it. The Orochi is a bit overpowered in 1v1 fights. He can dodge by using the Zephyr Slash, he can avoid top attacks using the Riptide Strike, he can even disengage and get away from you by using the Storm Rush ability, and he will be left to decide whether he is going to step-off the Storm Rush or activate it fully. This gives the Orochi a lot of chances to just strike in every single moment. I see the Orochi not as the biggest Berserker’s counter, but as the biggest counter overall in For Honor. Yes, The Orochi needs to be nerfed and you’ll see, that will happen. Let me just give you a tip. A lot of Orochi players are focusing on using the Zephyr Slash instead of countering a Guardbreak. So, all of that above is what you need to pay attention for. If you can Guardbreak and take off his Stamina, it should be a win for you. Getting his Stamina off is one way to go against the Orochi. 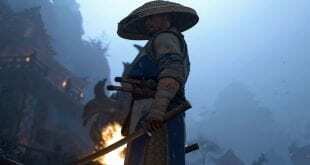 What to do against the fast Orochi class? Do not use the Head Crusher without a fake, do not even think about it. Fake attacks are your only chance against the Orochi. Also, Spin Chops should do their job too. However, after activating a Guardbreak, make sure you just try to get his Stamina down by hitting the same button again. That’s all you need to do. After you get his Stamina off, perform 1 chain with a Top Finisher and I ensure you he will be dead. Also, Fake attacks pushes a lot of Orochi players to use Zephyr Slash, so because of that, make sure you just fake attack before you use your Spin Chop. In this way, he will dodge and you will dodge after him meaning you’ll get a hit and he won’t. Cool Fact: Every 4th attack of yours starts to be Uninterruptible, and a lot of Orochi players just spam, spam and spam the top Light attacks getting the two fast slashes. Well, if that is how that Orochi guy plays, make sure you get your Uninterruptible boost and then just continue slamming him by using the Dance of the Paired Blades. I hope you’ll do it just nice and I wish you all the best. I cannot stop laughing on this one at all. You know that the Shugoki have the ability to deal ridiculously high damage and he even might kill you if he is in critical hp state. Yes, you need to be aware from both of his Charge of the Oni and Demon’s Embrace. How to avoid them? Well, given the fact that both of them are Unblockable, I am afraid to say that the only way to avoid that is to use Dodge. Otherwise, may god help you. Every good player aims for this, that’s actually why they love playing the Shugoki. So, If he’s on low HP, make sure you avoid those two movesets. Actually, Demon’s Embrace is the one that kill you. Charge of the Oni will be used to get close to you. Another thing that you should be aware of is his passive Uninterruptible Stance. That allows him to perform his hits even after taking a hit. However, when that’s gone, he receives more damage. So our playstyle should be based somewhere around this. The Stance is gone after he receives a hit and is also the right way when you start initiating your chain attacks. Your mind will start spinning around from dodging. However, keep in mind that you can always try to completely disengage whenever he tries to do this to you. Using Head Crusher into a Spin Chop is good. However, do not do anything stupid if you see him Charging the Heavy Attack. That one is unblockable too. I will surely update this section because I haven’t met a lot of them. 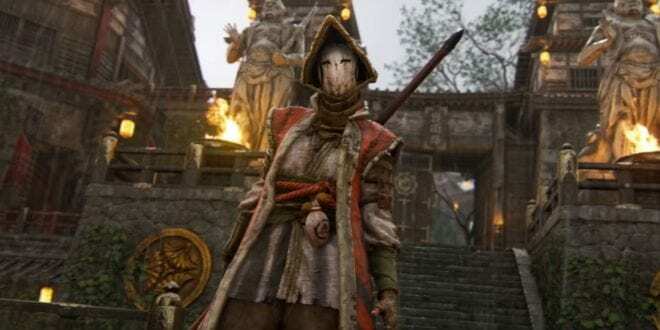 Even though everyone keeps saying that the Nobushi is really annoying, actually it is not. Guys, all you need is to go close to her. That’s all you need to do against this class. Well, having the Berserker, that might be just easier to do. You can actually see in the video. There is nothing to be scared of except the Sidewind Form combo she can make. If you see her initiate a Sidewind Form attack, make sure to Dodge the Kick as fast as you can because there will be a Cobra Strike afterward. You do not want that to happen. Maybe a double combo will be applied after that and you might lose the fight. What to do against her? Well, first of all, start by going in with your Head Crusher. She’s not that good at dodging and you should get her. She also cannot do anything to stop it because it’s Uninterruptible. That means Viper’s Retreat won’t work Let’s assume she’ll block the Head Crusher, the next thing to do is use Guardbreak, put her down and use the Head Crusher again. Everything else should include dodging and applying Spin Chop into a Heavy Top Finisher. That’s all you need to do. You can actually see in the video down below. 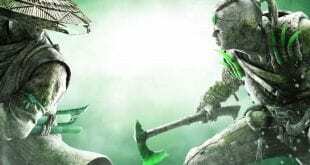 Believe me or not, I haven’t met a single Raider after in 1v1 after the full release of For Honor. That’s just so strange. However, you shouldn’t be scared from the Raiders at all. The only thing you should be aware of is the Unblockable they have Raider Fury. Usually, a good player uses that attack right after he connects a successful Stampede Charge and gets the stun on you. They are using it because of the Damage output, not because of the fact you cannot see the attack. It’s unblockable, so it’s pretty much the same deal. Guys, it’s really simple. You’re playing a Berserker and you do not have that many options. Initiate with Head Crusher, try to start a nice chain, finish with a Heavy Top. If that’s not working, try doing the fake attack and Head Crusher afterward. You’ll see that everything will be alright. Oh, I almost forgot. Do not forget to initiate with your Boar Rush when out of Guard. Sometimes it’s really working. Keep in mind that Head Crusher actually counts as a hit of your Uninterruptible chain ability. So, all you need is 2 more hits (light, then heavy) to get the Uninterruptible effect. After those two hits, you apply the top Finisher and that’s it. Guys, I mean, you should know all the movesets the Berserker has. This should let you decide what would be the best option when playing against yourself. Right? I can just tell you that it’s going to be a fight with a lot of dodging going on :). You are going to spin around like crazy. Let’s move forward to the next class. Fighting the Warlords should be not that big of a deal, however, you might want to open your eyes because they can pretty much drive you off a cliff. That’s actually the funniest part in this Berserker guide against the Warlords. Well, you are a Natural counter to his, so you should be definitely alright. However, take care of his Uninterruptable Heavy Attacks which may be crucial to you. Headsplitter Leap is what you should avoid by and perform your chains starting from there. He also owns a Headbutt which allows him to perform heavy attacks on you. So make sure you dodge that too, even though it’s a bit hard to dodge it. It’s totally the same again. Go in with Head Crusher, try to perform your chains with a Top Finisher… If he’s low on stamina, you know what to do with your Guardbreak and take out his stamina. This will give you the chance to manipulate your next attacks. Everything else should be easy since you are a natural counter. Ok, so the Valkyrie is one of the most strange classes to play with. It is also really strange to play against. I think that this class needs some kind of improvement because I cannot see it winning a Duel against a good Berserker. Not at all. She has so many combos, but however, her heavy attacks from above come so late. I just do not get it. She can put you down on the ground, but she cannot perform the heavy attack. However, I am still working on this one. The Shield Crush can be followed by that. As you heard, the Spear Sweep is really annoying but it cannot hurt you at all since before she attacks you’ll be ready to block. However, the most annoying thing I think the Valkyrie have, is her zone attack. Light attack + Heavy attack makes her hit you from the both sides. So every time you see a Spear swing coming from your Left Side, be cautios as it might come back from the right side instantly. It’s totally easy by using the same tactics as above. 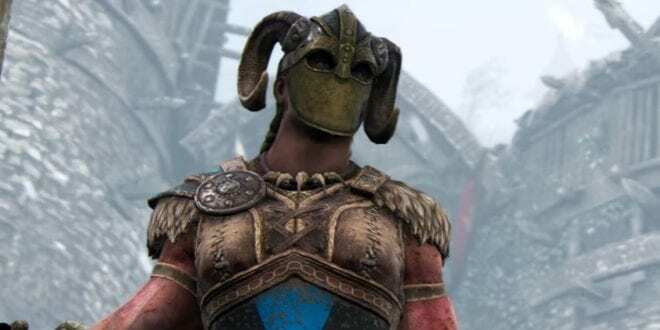 However, what differs from the other characters is that Valkyrie will definitely try a lot of dodge hits so you might be cautious on that too. Head Crush into a Dance of the Paired Blades into a top Finisher. Talking about his effectiveness in dominion? Yeah, I can confirm that he has a nice role in dominion and his zone AOE can easily kill minions. It’s nice and easy to fight with since it deals a lot of damage and if he gets one guy on a point and he kills him, the point is his. That’s why the Berserker is being loved in Dominion. I also think that picking the Berserker is a must. For this kind of mode, totally. What depends from other classes is that the Berserker can do anything. Take points, fight in the middle. I mean, he can perform any kind of playstyle in Dominion. There’s nothing else to talk about over here. I also think that picking the Berserker is a must. For this kind of mode, totally. What differs from other classes is that the Berserker can do anything. Take points, fight in the middle. I mean, he can perform any kind of playstyle in Dominion. There’s nothing else to talk about over here. Well that’s it guys, I hope you’ll love this Berserker Guide. This guide took almost 8 hours of my day. The Berserker will become your favorite class, for sure. However, we’ll keep on doing anything for you! I hope I will master the game even harder and change everything I can. So, if there’s anything we need to know or should be changed, please, tell us in the comments section below and we’ll gladly update the article. 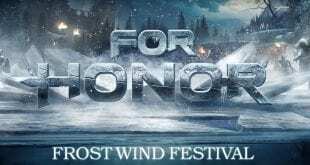 Just make sure you do not judge because this is a really hard work and I need to go in and play For Honor! I also forgot, here’s the video I was talking about. I hope you’ll enjoy it. This is what I wanted to tell in this guide, but I did not. I just mentioned it so I felt like I should do it. That’s why I made this video today for you. Hope you’ll enjoy it and understand everything. There is also a cool explanation on how to outcome a win against the Nobushi. Light attacks for the win. I’ve been trying that against a couple Nobushi players and it seems to be broken a lot! Try it and tell how did it go in the comments down below. As we said, we’re making this video for you guys so you can pretty much understand what kind of attacks you can do with the Berserker. They are really annoying and they can make serious damage. However, in order to get that damage, you must make a room for that. That’s why we made this video which hopefully you’ll understand it. It includes a Dance of the Paired Blades into a Bear Mauler, which is followed by a Feint and then hopefully into a Top Heavy Finisher.